After long delay, fracking rules get closer to filing. The General Assembly enacted legislation in 2013 to add Illinois to the list of U.S. states that utilize horizontal hydraulic shale drilling, including techniques known as “fracking,” to increase production of crude oil and natural gas. Similar technology has led to sharp increases in fossil fuel production in North Dakota, Pennsylvania, Texas, and other states. 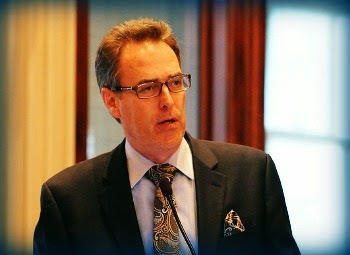 The 2013 legislation included provisions, intended to be the toughest in the nation from an environmental standpoint, to minimize chemical spills and maximize the public safety of Illinois horizontal hydraulic shale drilling. Despite these provisions some advocates, including advocates based in states outside Illinois, launched a lengthy program of objections and protests against the new law. They concentrated their fire on the administrative rules required to be drafted by the Illinois Department of Natural Resources (IDNR) to implement the new law. More than 35,000 comments in favor of, and opposed to, the proposed new rules were submitted to IDNR. 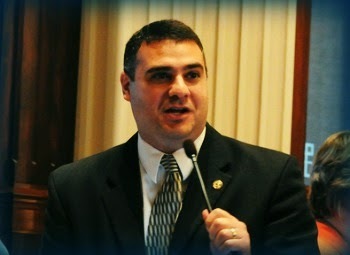 Two pieces of legislation sponsored by State Representative Dennis Reboletti (R-Elmhurst) to curb the use and manufacture of illicit drugs were signed into law on Monday, August 18. The two bills include House Bill 5526 that will make it illegal for minors to purchase products containing the herbal stimulant kratom, and Senate Bill 3275 that will place certain synthetic drugs into a list of drugs that are illegal to manufacture, deliver or possess with intent to distribute. House Bill 5526 prohibits minors from possessing or buying kratom. The bill also outlaws the sale and distribution of any product containing kratom to a person under the age of 18. Read more. After reading a scathing report that outlined waste, inefficiency and corruption within the mass-transit boards in Northeastern Illinois, State Representative Mike Tryon (R-Crystal Lake), who serves as the Minority Spokesperson for the House Mass Transit Committee, went to work on reforms that would improve transparency and accountability within the service boards that fall under the Regional Transportation Authority (RTA). Last week Governor Quinn signed those reforms into law. 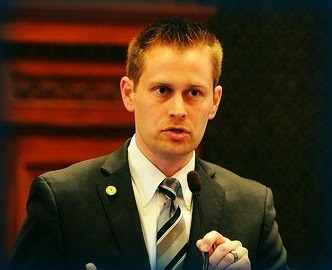 According to Tryon, the provisions of SB3056, now known as Public Act 98-1027, will go far in enhancing the transparency of the operations and financial expenditures of the agencies that provide transit services to Chicago and the suburban area. 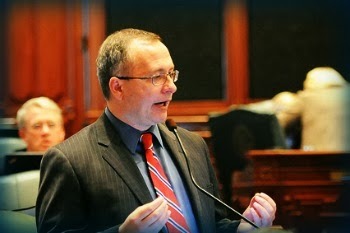 "The provisions of this bill are a result of almost a full year of negotiations with representatives from the RTA, CTA, PACE and METRA,” said Tryon. 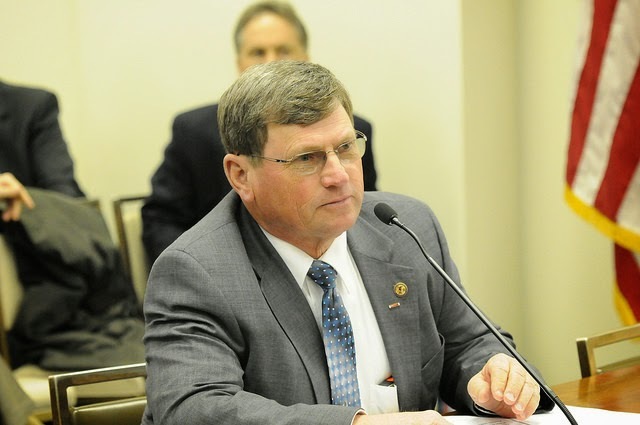 “All of the provisions were part of legislation I filed earlier this year, so I was pleased to see those reforms worked into the final bill.” Read more. Governor Quinn has signed legislation to protect survivors of domestic violence. 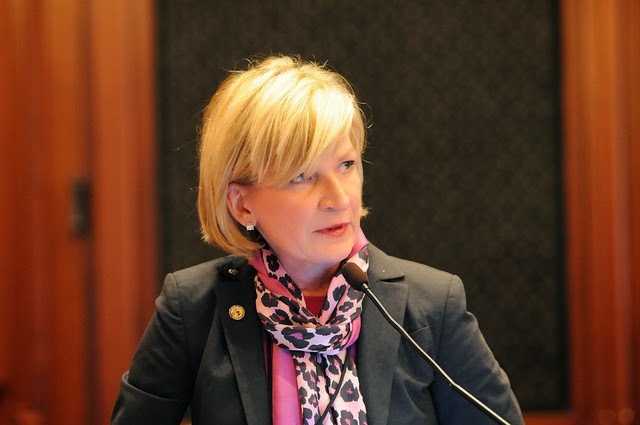 “Diane’s Law,” sponsored by State Representative Barbara Wheeler (R-Crystal Lake) and Senator Pamela Althoff (R-McHenry), allows the courts to order risk assessment and electronic surveillance of those charged with domestic abuse in order to increase protections for victims of domestic violence. House Bill 3744 allows the court to order individuals charged with intimate partner abuse including domestic battery, kidnapping, stalking, harassment and attempted murder to undergo a risk assessment evaluation as a condition of bail. The court may also require GPS monitoring of the defendant to help monitor and enforce restraining orders. The new law is effective Jan. 1, 2015. Diane’s Law was written following the murder of Diane Kephart by a former boyfriend on March 15, 2013. Diane was murdered three days after renewing her protective order against an ex-boyfriend. "Hopefully this legislation will contribute towards keeping the victims of domestic violence safer in the future," stated Wheeler. "This measure will be an added tool in the hands of the justice system to protect those potentially in harm’s way." Audit finds Illinois overdrew federal Medicaid dollars. A U.S. Department of Health and Human Services’ Office of Inspector General report found that Illinois overdrew its actual Medicaid spending by an average of $60 million per quarter during the three years reviewed due to “faulty” and “imprecise” practices. The federal government estimates it may have lost as much as $792,000 in interest from fiscal year 2010 through 2012 because Illinois was delayed two to six months in repaying the money. Military service members, veterans and their families will now have additional financial resources to assist with navigating the “sea of goodwill” that is available throughout the state. 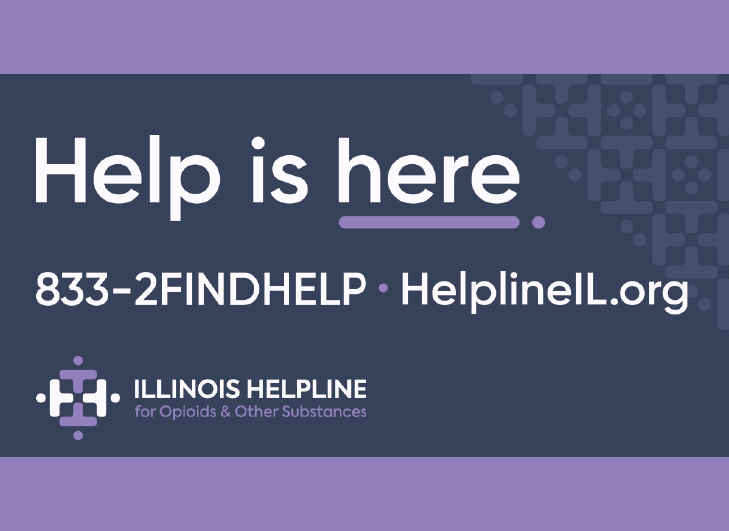 SB 3222, sponsored by State Representative Wayne Rosenthal (R-Morrisonville), will allow the Illinois Joining Forces (IJF) to raise money as a not-for-profit to further their goals of offering a broad array of support services. Read more. Legislation sponsored by State Representative Michael P. McAuliffe (R-Chicago) to raise awareness on the various breast cancer detection services available to women with dense breast tissue was signed into law on Friday, August 15. 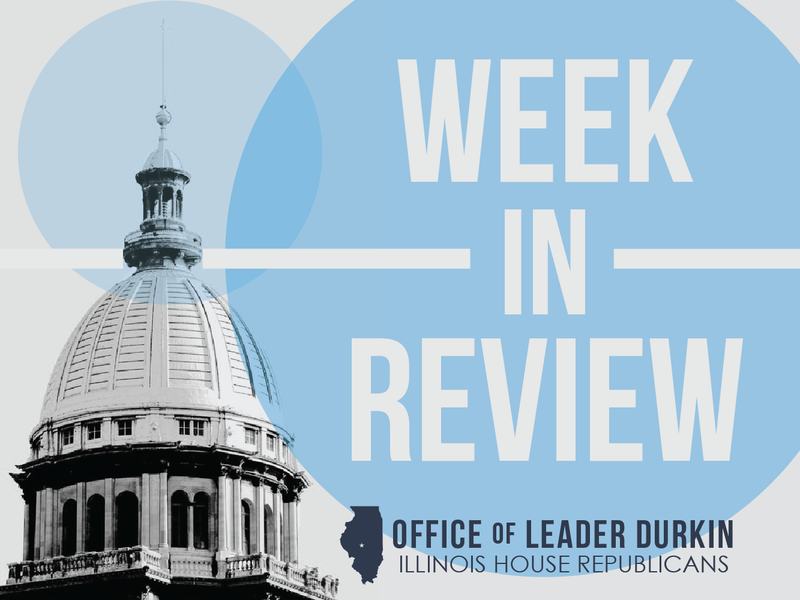 House Bill 3765 calls for the Illinois Department of Public Health to include information on newly available 3-D mammography technology in state sponsored pamphlets. “When breast density is high, mammograms are harder to interpret than when density is low. Many women find that after going through a regular mammogram, they get a call to get retested,” said McAuliffe. “3-D mammograms are more accurate than regular mammograms and can help radiologists distinguish between cancer masses, and overlapping tissue.” Read more. 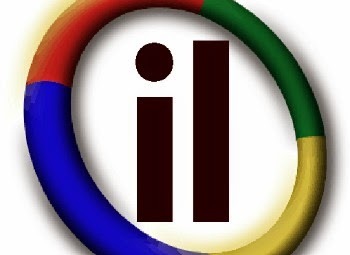 Call for disclosure of State budget games associated with troubled Chicago program. 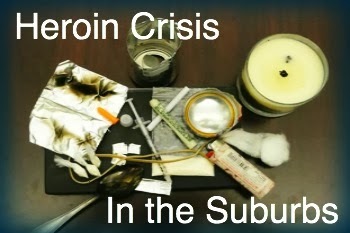 Federal, state and local investigators and law enforcement are looking into the Neighborhood Recovery Initiative (NRI). The troubled program, initially funded with $54.5 million in State taxpayer money in late 2010, was created to distribute resources to community organizations in neighborhoods, most of them located within Chicago and adjacent suburbs that were and are threatened by violent crime. 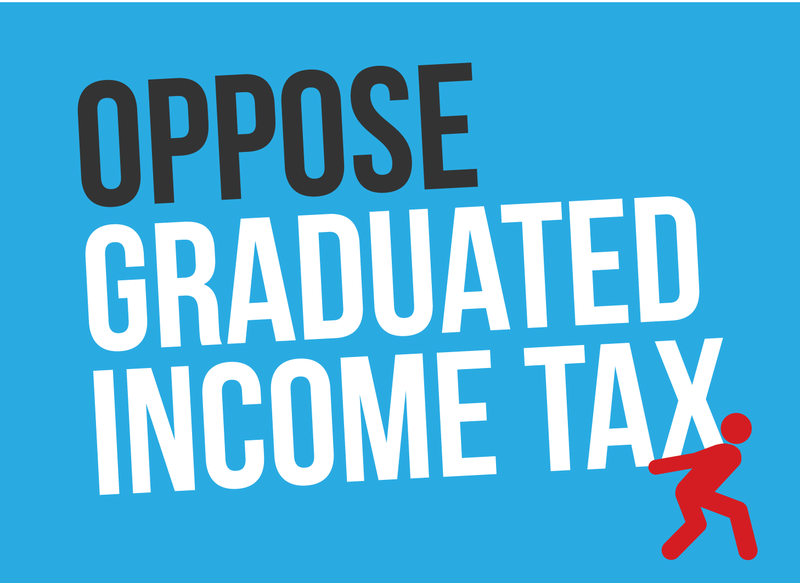 Students across Illinois are gearing up to head back to the classroom. 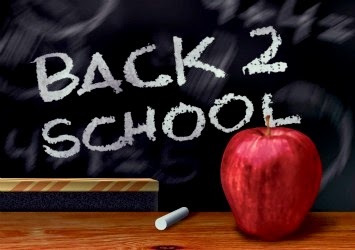 To help families prepare, the Illinois Association of School Nurses (IASN) shares five simple items to their back-to-school checklist, ensuring a smooth transition into the 2014-2015 school year. See the checklist here on WIFR. 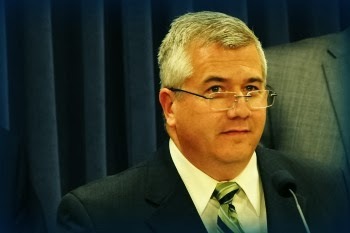 The Illinois Senate and House Republican Leaders today – in concert with members of the Legislative Audit Commission – called on Governor Quinn and his Administration to lift the curtain of secrecy and come clean on new spending for a rebranded version of his failed Neighborhood Recovery Initiative. 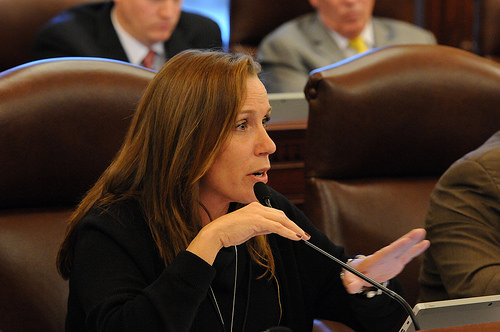 “We’ve seen a disturbing pattern of a lack of transparency from Governor Quinn and his Administration,” Senate Republican Leader Christine Radogno said. “Every week we see new reports about the mismanagement of the NRI program. Every week, Governor Quinn spins that he’s fixed the problems. It’s the same claim he made about the patronage scheme at the Department of Transportation and we all know now that just wasn’t true. A bill, sponsored by State Representative Mike Unes of East Peoria, was signed Friday afternoon by the governor. The bill makes it a crime of official misconduct for an employee of a law enforcement agency to tip off a criminal of pending law enforcement action against them. This legislation, Unes says, was necessary because of a 2010 Illinois Supreme Court decision that a 911 dispatcher tipping off a criminal of pending law enforcement action was not an act the employee could be charged criminally for committing. There's more on CIProud.com. Bloomberg News analysis shows Illinois’ 10-year bonds trading at below BBB level. The actual level of safety and security perceived by global debt markets is set by the bond marketplace, with guidance from the three credit rating services (Moody’s, Standard & Poor’s, and Fitch Ratings). However, after the 2008 financial panic, many investors have become skeptical of credit rating services. A Bloomberg News analysis, published on Thursday, August 7, indicates that this skepticism may be weighing down the prices of Illinois bonds. Illinois Comptroller Judy Baar Topinka launched a new mobile application that will put taxpayer and vendor payment information right at their fingertips. This new free mobile application is available now at the Apple and Google Play stores. A bill that directs the Young Adults Heroin Use Task Force to study the growing problem of heroin use among school-aged children was signed into law today. House Bill 4542, now known as Public Act 98-0861, charges a 16-member panel with conducting a study of heroin use problems in grades 6-12. “Heroin has unfortunately become the new drug of choice for school-aged children,” said State Representative Ron Sandack (R-Downers Grove), a Co-Sponsor of the bill. “Ease of access and affordability of the drug led to 46 heroin overdose deaths in DuPage County last year, compared to 29 deaths just five years ago.” Read more. In response to a request initiated by Rep. Darlene Senger (R-Naperville), the Office of the Inspector General of the U.S. Department of Health and Human Services (HHS) has announced they will review allegations that Federal grant money may have been misspent on a poorly managed program to market and promote Illinois enrollment in the Affordable Care Act, commonly known as Obamacare. 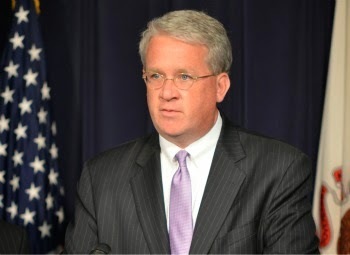 In a letter from the Office of the Inspector General (OIG) dated July 23 and announced by Rep. Senger today, the OIG states they will conduct a “review of potential criminal and civil fraud violations and misconduct related to HHS programs, operations and beneficiaries. On the basis of the review, we will determine the appropriate course of action.” Read more. Getting riders to their destinations safely and on time. That's Metra's mission but now you could add another responsibility -- saving people from confusion. 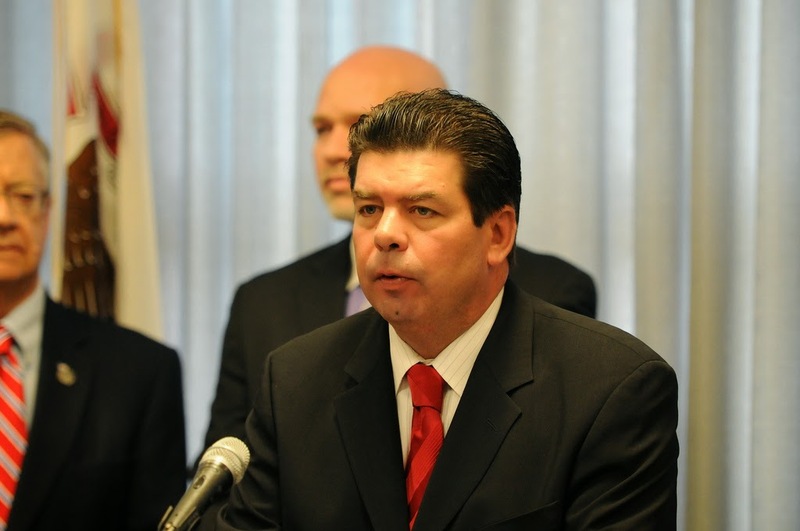 Illinois Inspector General Ricardo Meza opened a can of worms last week when his office chided Metra for keeping false records of the hours engineers or conductors worked. State investigators also disclosed a practice of swapping shifts at Metra, where one employee would pay another under the table for picking up his or her assignments. 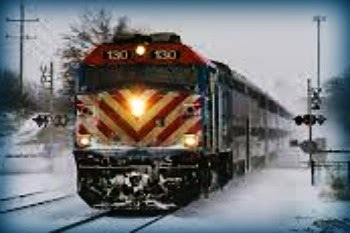 Metra went on the offense, calling the Office of the Executive Inspector General's probe a waste of time and money. Although there were inaccuracies in logs, that no longer occurs nor does shift swapping, administrators said. Marni Pyke has the rest of the story in the Daily Herald. 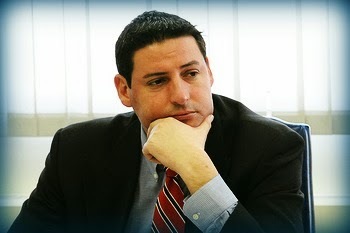 As Gov. Pat Quinn's aides sought to pump up an anti-violence program ahead of his November 2010 election bid, they decided to add to the pot $3.76 million in federal disaster recovery funds from Hurricane Ike to make loans to small businesses. 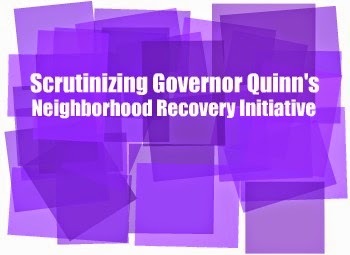 In the rush to get the program launched, the Quinn administration hired a financially troubled West Side business development group to dole out loans, despite concluding the organization had recently misspent state grant funds. The group, Chicago Community Ventures did not make a single loan, but was allowed to keep more than $150,000 when the contract was nixed, the Tribune has found.